It’s easy to get overwhelmed with so many choices and not know where to start. 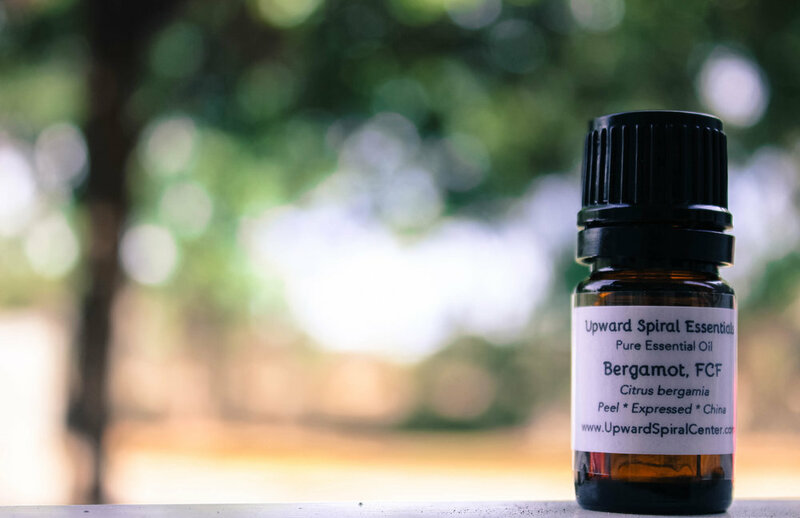 Bergamot (Citrus bergamia) the perfect oil to create an atmosphere of serenity and positivity. Its scent is uplifting without being overly stimulating, and it can be used in the morning or evening. Read more about Bergamot here. Lavender (Lavandula angustifolia) is best known for its soothing and sedative effects, but it also excels in healing physical wounds, emotional hurts, and trauma. Read about three ways you can use this universal oil. These oils are all great on their own, so there’s no need to fret about blending just yet. When you are ready to explore and play with blending, this is the perfect shopping list. These are some of the most common oils used in aromatherapy recipes for better health, hygiene, and cleaning. We will be sharing more about these oils and others in our Introduction to Essential Oils class on Jan 31st. Learn from an experienced aromatherapist, smell some delightful oils, and even make a blend of oils to take home.